The world’s most proven self-service bag drop solution just got better. 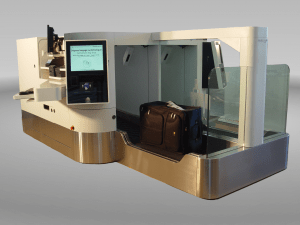 ICM Airport Technics launches its newest Auto Bag Drop Hybrid solution. 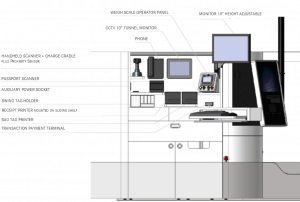 ICM’s Auto Bag Drop (ABD) Hybrid provides the best of both worlds, with a bag drop that can operate in fully unassisted self-service mode or assisted mode with a fully equipped CUTE (Common User Terminal Equipment) check-in desk. The CUTE mode allows the check-in agent to operate and process passenger’s baggage drop-off the same as they do on a traditional check-in desk. Once switched to the unassisted mode, which runs ICM’s CUSS (Common User Self Service) platform, there is no need for an agent and passengers can perform the bag drop off completely unassisted. With the agent area adjacent to the side loading passenger area, there is no barrier between the agent and the passenger which enables an efficient and customer centric service. The design allows for various types of CUTE equipment to be housed in a secure cabinet. The angled desk allows space for both the agent and passenger in either mode.